Growing up beets was never my favorite vegetable. I don’t know if it was not bought because I did not like it or I did not develop a liking for beets because it was not cooked regularly in our house. Now I’m bringing beets quite often especially once my son started solid foods. He is 4 now and I try to feed him beets directly as well as sneak it in his favorite meals. My mother-in-law shared a couple of interesting beet recipes with me. I didn’t know that beet greens were edible until she told me. 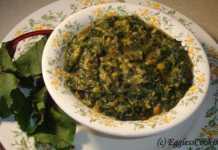 She made a scrumptious dal using beet greens. Since then I have started cooking all greens including kohlrabi greens. 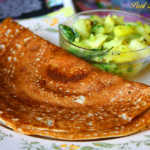 The following thayir pachadi recipe is from her. 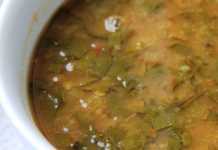 Thayir pachadi also popularly known as raitha, is nothing but a combination of raw or cooked vegetables mixed with yogurt and spices. Another interesting beet recipe is from my mother. She made beets rasam (a South Indian soup like side dish) using beet cooked water. It uses very fewer ingredients and very simple to make and yet it is very comforting especially for cold winter nights like the ones we have this season. Now to the raitha recipe. This is not your usual beet recipe. Try this beetroot raitha and I’m sure that you will fall in love with this vibrant vegetable even if you don’t like it already. 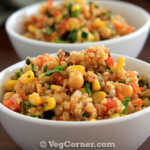 This dish goes well with rice, pulav and chapathis. Wash and peel the beet. Cut it into 4 big chunks. Place it in a vessel and add enough water just to cover the beets. 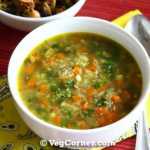 Place the vessel in a pressure cooker and cook it for just one whistle and remove the cooker from the stove. do the tempering. In a small frying pan add the oil. Once it is hot enough; add the mustard seeds and let it splutter. Then add the hing and curry leaves; sautee it for a minute and switch off the heat. Keep this tempering aside. Once the pressure releases, open the lid and remove the vessel. Reserve the beet cooked water for later use and drain the beets. In a medium size bowl, grate the beets. To this add the coconut paste, tempering, yogurt, and salt. Mix it well. Add little water or yogurt to get the desired consistency. Check for salt and adjust it according to your taste. Now garnish it with finely chopped coriander leaves and vibrant beets raitha is ready to be enjoyed with fried rice, biriyani or parathas. Since beet is a sweet vegetable, this dish would require more spice than you would normally use in your cooking. Canned beets can also be used in this recipe. Pressure cooker is not a must for this recipe. You can cook it in a microwave oven too. I prefer the cooker method because I cook 4-5 beets at a time. Grate 1 for the pachadi, chop 2 for the next day’s curry and puree the balance to use it while baking. I store the pureed beets in 1/2 cup containers in the freezer and use it later. Using the beet puree you can prepare kheer following this pumpkin kheer recipe by replacing the pumpkin puree with the beet puree. sorry… hit send too soon! PC people, pls make sure there is 2 inch water level below the beet bowl! A small tip, if you won’t mind. You don’t need to dunk the beet in water (and thus lose a bit of the nutrition). You place the beet dry in a small bowl, place the bowl in water inside the pressure cooker, — usually PC’s come with a small steaming plate which you can place at the bottom of the PC and then the bowl on top of it and so forth… — then shut the PC, place the steam stopper and cokk for 3 whsitles. The beet is soft yet crunchy and no loss of nutrition. I have never cooked beets. I will definitely try this! It looks so good, especially the color. 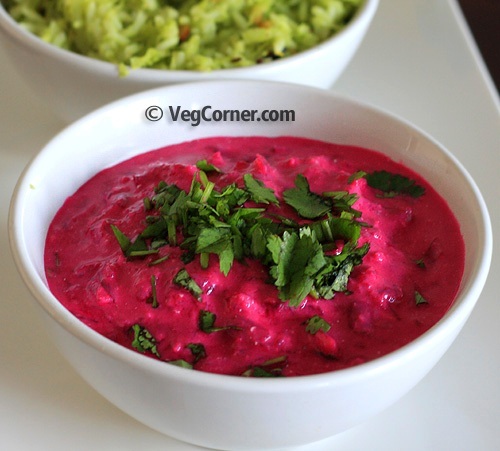 The colors are amazing… and beets in raita sound delicious!!! Great blog… glad I found you! There is a 1/2 beet sitting alone in my fridge …now i know what to do. I do the exact same pachadi with steamed diced zucchini but never thought I could substitute beets there, thanks Madhuram. Congrats on your new website Madhu. 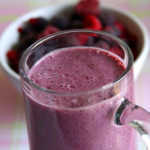 I love ur beetroot raita & make it often myself. Great beginning Madhu. God bless u both in ur new endeavour. ur beet patchadi looks yummy. i used to make it. It really tastes well. 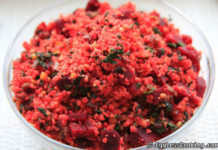 Even in salads with ma-inghi and sambar also beet used to be very tasty. Thank you very much Chithi. Congratulations! Your new website is Excellent!